I make no claims for technical accuracy, good design, or necessarily even originality for the contents of these pages. 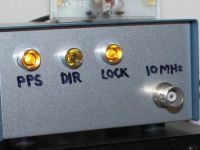 Rather, I am a simple enthusiast attempting to convey my love and enjoyment of radio, electronics, and computing and perhaps to inspire YOU to build something too. The following pages document projects that I have built over a period of 30 years. Wherever applicable I have named sources and references. In each project I have attempted to provide as much information as time and resources allow, but no responsibility can be accepted for inaccuracies or omissions. Likewise, where some of the projects use mains or high voltages, no responsibility can be accepted for death or injury sustained if you attempt to replicate these projects. BE CAREFUL! If you have any comments or suggestions, please email me. 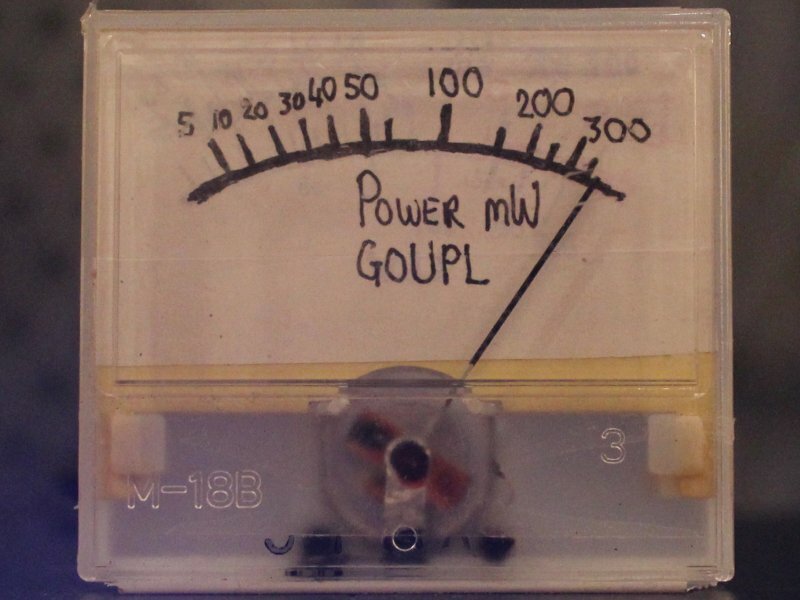 It's really simple to make a QRP power meter measuring RF output powers from a few mW up to half a watt. 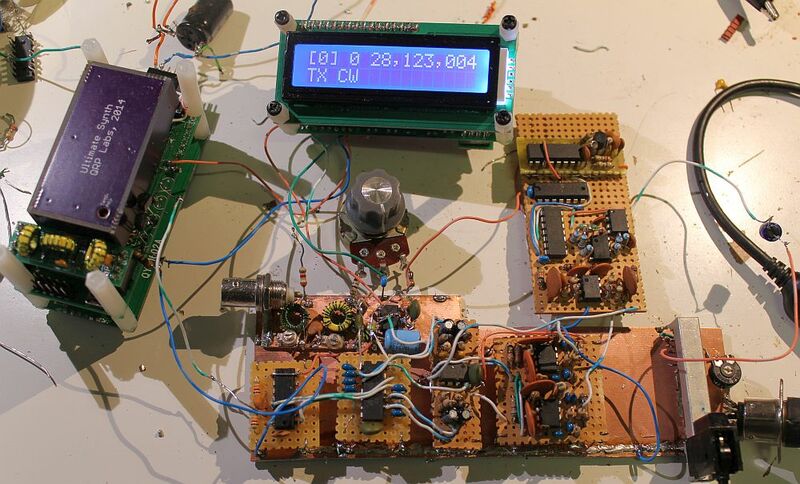 This simple project described here is half an hour's work and all components are from the junk box. I used an old "VU" meter from an old piece of consumer equipment, probably a 70's Hi Fi or something similar, long-since forgotten. 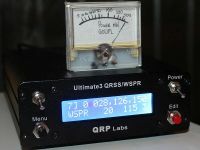 This is my implementation of the QRP Labs Ultimate3S QRSS/WSPR kit. 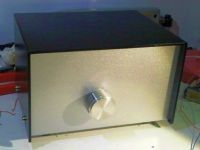 My U3S is installed in the official QRP Labs case. 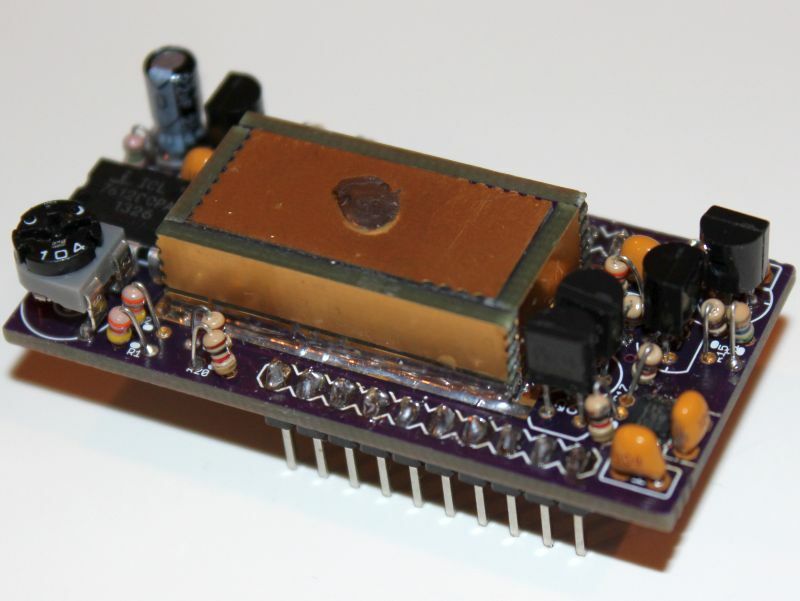 I am using the relay-switched LPF kit for 6-band operation, and QRP Labs QLG1 GPS receiver module.